A spunky 16 year old from Pennsylvania who has been driving for 7 years now, is making a name for himself. Thats right, he has been driving a car since age 9! No not a street car, a race car and on the dirt tracks in Western PA! Starting out in a go cart on the dirt, Shane Nihart has slowly and methodically moved himself up the ranks. From go carts and pure stocks, to this season which will be his second in the semi late model class. You can see him in the 4N car racing at tracks like Dog Hollow. 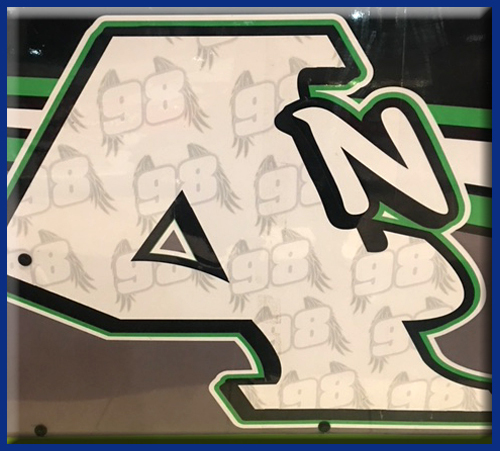 In honor of his role model, Shane will be running a commemorative paint scheme of his late Uncle Terry. Shane is also a member of the Pittsburgh Circle Track Club, and finished second in points for the club in 2017. We wish Shane the best of luck this season and cant wait to talk to him later in the year to see how he did!! Just like all of our guests this season, Shane was joining us on the Barbasol Shave Phone line. We thank Barbasol for being a proud partner of the Fast Lane Sports Show. Be sure to look for and grab your favorite Barbasol item wherever shaving products are sold. Located in SW Pennsylvania, about a 2 hour drive SE of Pittsburgh, this Small Town Short Track is nestled in the hills of Markleysburg, PA. Slinging dirt on the weekends is something that drivers look forward to at Roaring Knob, and this year fans can show up all weekend for racing, as they will feature 5 Sunday races. From 4×4 off road to Late Models and Chargers to name a few, fans of all forms of dirt racing will surely be pleased. This week, Howie Balis, announcer and photographer at Roaring Knob, joined us on the Barbasol shave phone line, to tell us about the track and what is new in 2018! Be sure to click on the Roaring Knob website link below www.roaringknob.com for all their info including schedule, events, ticket pricing and directions to the track. All guest in 2018 will be joining us on the show via the Barbasol Shave Phone Line! We want to thank Barbasol for being a proud partner of the Fast Lane Sports Show! On the show this week we feature a new driver to our stable of drivers! From the deep south of Georgia, driving on the dirt tracks, Matt Janssen is this week’s guest. 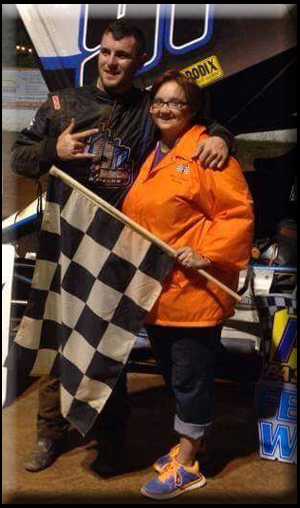 Even though he started at a later age and has only been racing for about 10 years, it is his passion and desire. Matt is the driver of the #98m 602 crate car. Catch up with Matt this year using the Twitter link below. Of course, Matt was joining us on the Barbasol Shave Phone line, just like all of our guests will be doing this year. We thank Barbasol for being a proud partner of the Fast Lane Sports Show. Be sure to look for and grab your favorite Barbasol item wherever shaving products are sold. 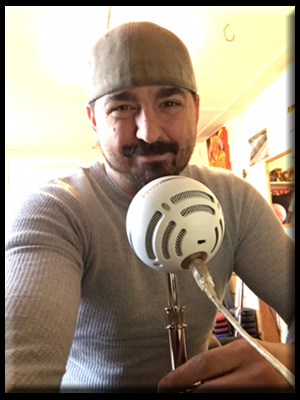 This week we sat down with Dave Olivieri of the Pittsburgh Circle Track Club. 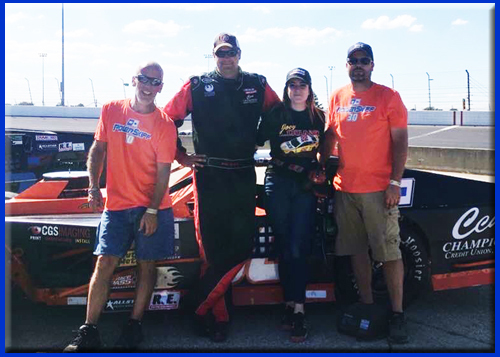 The PCTC is a good friend of the Fast Lane Sports Show, and was a very big part in helping the show get interviews with many drivers and tracks last season. Todays show, we talk about 2018 Club nights, new drivers and old, and even how fans can become a member. We have another great show for you this week! Once again this week we feature another preview show for 2018. 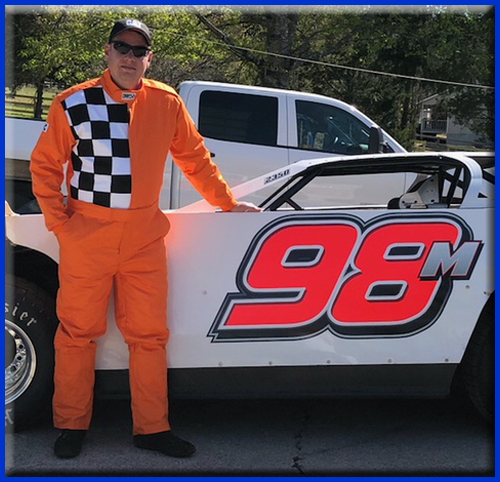 This week we are joined by Billy Hribar of Jennerstown Speedway. Jennerstown is nestled in the quiet hills of the Laurel Ridge Mountains, and is surrounded by beautiful Pennsylvania landscapes. Billy and I sat down to discuss the many great events and talk about the future of Jennerstown Speedway. Be sure to circle several dates this year and attend Jennerstown to catch some great racing thats fun for the entire family!!! 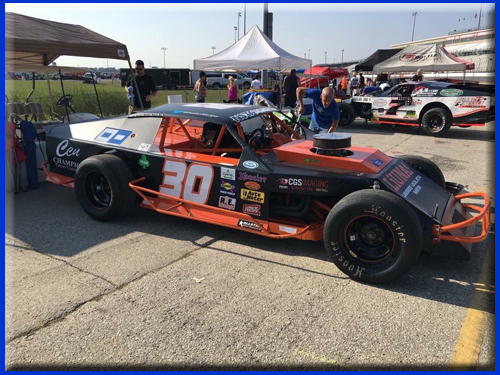 You can get more info on the track, drivers, schedule and everything concerning the area by visiting the links below and also be sure to LIKE them on facebook. We thank Billy for stopping by and talking to us this week, as he joined us on the Barbasol Shave phone line. All guest in 2018 will be joining us because of the continued support and partnership we have with Barbasol. 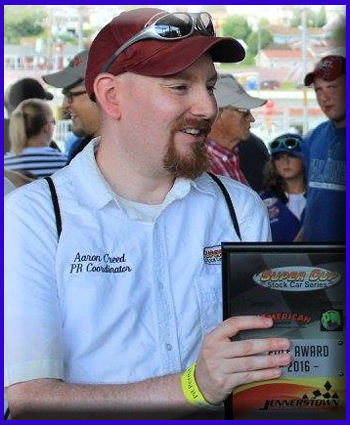 This weeks show we feature a returning guest, Aaron Creed, PR Coordinator for the Super Cup Stock Car Series, who stopped by to give us a preview of 2018. He tells us what tracks to circle on our calendars for a great show. We run down the SCSCS driver lineup, schedule and even some sponsors of the series. We look forward to having Aaron on multiple times this year, as well as several of the SCSCS drivers. Be sure to follow the SCSCS on Facebook, Twitter and Instagram and find out more about SCSCS, including their schedule, on their website. See Links below. 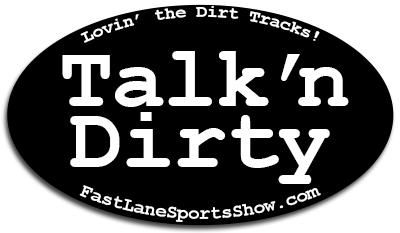 In our first Talk’n Dirty with Kristina of 2018, we break down the different series of dirt racing, where they tour, and what their schedules look like. Be sure to check back here at Fast Lane Sports Show for new updates on how your favorite dirt racers are doing in their series standings. Also be sure to tune in to hear who the next “Close Shave Moment in Racing” Presented by Barbasol winner will be. Welcome back Kristina! This week we had the pleasure of sitting down with Rose Compton. 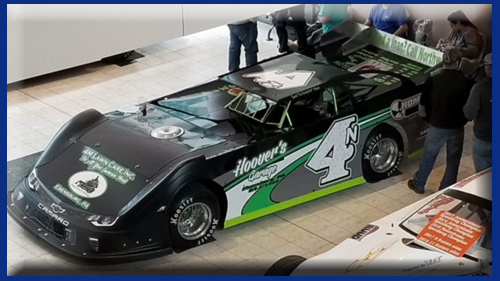 Rose and her husband Jeff started the Ultimate NorthEast Super Late Model Series in 2017. It was a learning experience for them both, running a racing series, but they are back for 2018 and ready to get rolling! Listen today to hear where the series will be touring and the dates of those races so you can be sure to catch a race near you. Check out the links to the NorthEast Ultimate Super Late Model Series website and social media below where you will find everything you need from news, to results to scheduling and even the great sponsors that help make the series possible. I hope you guys are having a great time listening so far in 2018. Like all our guest in 2018, Rose joined us this week on the Barbasol Shave phone line. We thank Barbasol for being a proud partner of the Fast Lane Sports Show. Be sure to look for and grab your favorite Barbasol product wherever shaving supplies are sold. On this weeks show, we are once again joined by Ryan Pearson. 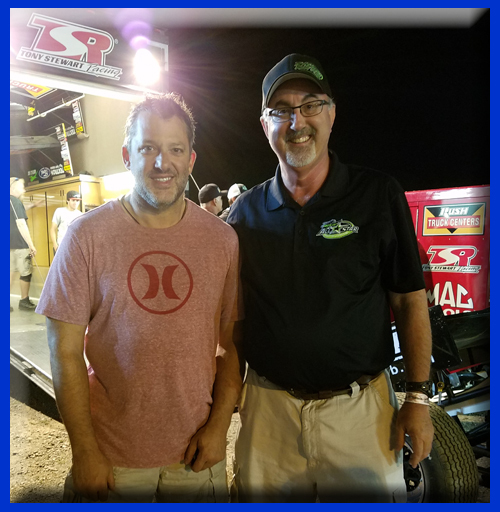 Ryan is the GM of Wayne County Speedway and the right hand man of owner Jason Flury This is our first Track Preview show of 2018, and I am honored to have Ryan joining me to talk about the big things coming to WCS this year. Listen in to see what changes to expect when you arrive to Orrville’s Historic Oval. Also check out waynecountyspeedway.com to get the latest track news, fan guide and 2018 schedule. Text WCS Fan to 51660 to get $2 Off General Admission and to get updates of the track sent to your phone. This week, as part of our Driver Spotlight, we feature an all new driver to our show. The pilot of the #30 Powerskiff iCAR Modified, Yunker Motorsports’ own Brad Yunker. Brad stopped by to tell us about his 30 year career in racing that has gone from dirt, to ARCA trucks and now the modifieds. Brad was also the first driver to participate in our “10 Things We Learned” segment. Find out what 10 Things Brad likes. Of course, Brad also was joining us on the Barbasol Shave Phone line, like all our guest will be doing this year. We thank Barbasol for being a proud partner of the Fast Lane Sports Show. Be sure to look for and grab your favorite Barbasol item wherever shaving products are sold.